Jamie Dimon has a message for Brexit Britain: There's nothing wrong with changing your mind. The chief executive of JPMorgan (JPM) said before the June 23 referendum he thought Brexit would be a "terrible deal for the British economy." Asked by an Italian newspaper how the European Union should now respond to the vote, Dimon said it must work together to address its weaknesses. "Europeans should say: look, there are rational complaints, we are going to fix them for all of Europeans, not for Britain alone, but for everyone else. Maybe you can even reverse Brexit," he told Il Sole 24 Ore.
"If you buy a house but you never had a chance to look at it, and then you see it and you do not like it...this can happen," he said. "There is nothing wrong to change one's mind but this is not my decision to make." Some voters have already said they regret their decision, especially after leading Brexit campaigners back-pedaled on a number of pledges they made. 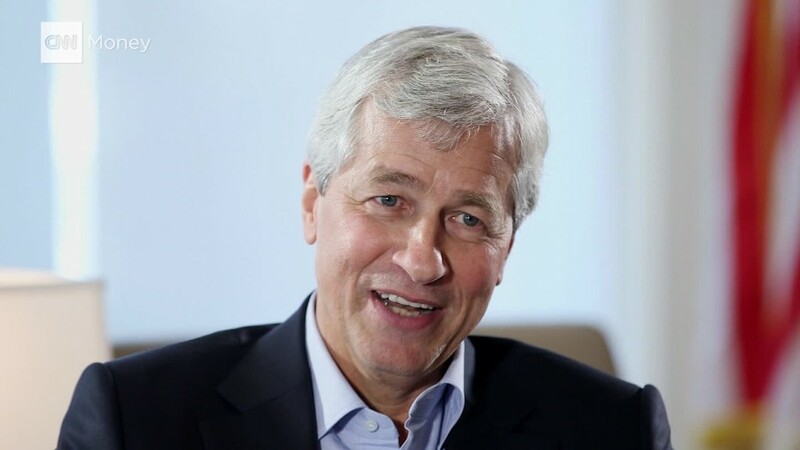 Dimon was one of many Wall Street executives who supported Britain staying in the EU. JP Morgan has 16,000 staff in Britain, but may have to move some employees out of the country because of Brexit. No big bank has announced any job moves yet. And on Thursday, Goldman Sachs (GS), JPMorgan, Morgan Stanley (MS) and Bank of America (BAC) issued a joint statement, promising to work with the U.K. to help London "retain its position as the leading international financial center." Dimon is not the only one suggesting Britain could still reverse course. A top London law firm is preparing legal action to ensure U.K. lawmakers debate Brexit. It argues that parliament must give its consent before the government triggers Article 50 of the EU treaty, beginning the formal exit talks.